WinBreak Star Light issue #1: Avid X.
Nu: So, the first question with every gaming related interview should always be: your gamertag! For everyone out there, what is it and where’d it come from? avid: My gamertag is “avid x3ro” , originally it was XERO but over the course of time harsh rains and winds eroded it down, to what it is today. Nu: Your website, 360style.net, seems very busy. So much more going on than my lowly startup! I’m sure you have a large following of your own, though I heard your appearance on the Unscripted 360 podcast # 57. So for people still new to the Xbox community (and who skip the top of every page on 360style), when was 360style.net founded? avid: My baby was born May 2nd, 2005. 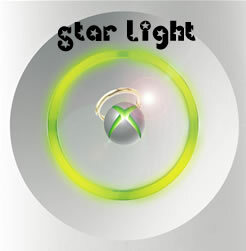 The idea came from the TeamXbox forums. I was a big wallpaper and avatar contributer and I decided I wanted a bit more respect and a place to call home for my artwork so I decided to start 360 Style along with another community artist, “igotgame1075”. In August of 2006, I was given a hand with the site, my good friend Delilah Blaze stepped up and redesigned 360 Style. This took 360 Style from being your basic html webpage to the deep database it is today. Nu: 360style seems to focus on a much more gritty part of the Xbox community. Skull designs and graffiti fonts pepper the site. I love the edgy yet fun attitude of the staff and members of the site (we all hope McKillin’ makes a return). How would you describe 360style? avid: 360 Style is what it is because I have built the community to be very open ended. At first it started as a wallpaper website, but since has grown to be so much more. If I decide to post a video of a kid microwaving a cat on my mainpage tommorow I will. That is where the “style” comes into play. I like to think of us as the artistic goofballs of the Xbox community. But even though we like to screw around, we still work hard to bring unique content to our users. Nu: Tell us a little bit about the man behind the gamertag. We’d all love to think that blogging gets to be a full time job, and reviewing video games will pay the bills, but that remains to be fantasy for most of us. Then again 360style does have a large staff, Microsoft MVP recognition, and so much more – so maybe it is, for you! What’s your day job, family life, and any other details that make up Chris Erickson, and not just Avid X.
avid: I am a single bachlor looking for a gamerchick to take long walks with on a pixelated beach. During the day I cut meat at a grocery store and at night I turn into Avid X, the internet addict. I have generated some good chunks of money on my website, but nothing to really call a profit. I put so much time and money into it, its going to take a lot more then a few google ad checks to allow me to call this a job. Nu: Did you go to / finish school? If so, what did you major in? Do you get to use any of those learned skills at all when working on 360style? Avid: Dual enrolled in some Graphic Arts classes in high school, from there I attended a local community college for a year and then got mixed up in something we call life. No degree here, but hopefully someday. avid: Well young Xbox jedi, its a inside joke between some community leaders that attended the Crackdown community event at Microsoft last February. Let’s just say Nelson R. from AchievementJunkie.com ordered bacon waffles and ended up getting 1 bacon waffle. He was also the first one to get his meal. We all sat around and laughed as he ate the lil’ kid sized waffle. Ever since that I noticed other people on forums have fascinations with bacon waffles, which encouraged my addiction. They are interesting.. I mean the bacon is in the waffle. Nu: How long have you been gaming? avid: No, music. I never listen to music on my PC, just podcasts. Playing now: www.thegamersgarage.com – Fatal1ty Interview. Nu: Which games are you playing most, lately? avid: Call of Duty 4, Spongebob Underpants Slam! Nu: Do you have an all time favorite game (any console / PC)? avid: Psychonauts is easily one of my favorite games ever. I have yet to see a game top it in level design. Nu: What have you learned about web-writing and dealing with the masses that you may not have known going into this position? avid: To relax, you can try to write an article or review and make it sound like your are reading a wikipedia page or you can make it “real” and honest. I’ve learned that keeping it real has gotten me alot further then anything else. Nu: Any additional parting words? avid: Seriously, check out our podcast at www.360stylecast.com and search for us on iTunes. We have put a lot of effort to make it a unique show for the community. Well, everyone, this concludes our first STAR LIGHT segment! I want to think “avid x3ro” for taking part and submitting himself to my tortuous questions! See you next time around! Things may be delayed… we're moving!